You might have heard about making money with Amazon. One of the fastest ways is to look around your house and sell your used books and videos. But did you know that you can also make money by finding new retail products at your local store and turnaround and sell them for a profit on Amazon? Did you know that after sending them into Amazon they will stock, advertise, ship, and handle customer service for you? It’s similar to Ebay, but without all the work of taking pictures, creating lists and managing all the shipping and headaches of dealing with buyers. Fulfillment By Amazon or FBA, is an easy way for parents caring for our special children can quickly earn some cash. Low cost barrier to entry – sign up for FBA is free to get started. Find things around your house and start listing them. Get paid when they sell. Traffic – Amazon has over 305M customers and 2.3 Billion visitors! That is a lot of potential customers looking for what you have to offer! If those reasons don’t get you excited, then maybe this one will! How this family clears 6 figures a year with their Amazon FBA business, from home with no stock! Cliff and Jessica, over at The Selling Family really know their stuff when it comes to selling on Amazon FBA. About 8 years ago Jessica was let go from her job in 2008 when the entire economy took a turn for the worst. I know that happened for us. Prior to my husband being diagnosed with Huntington’s Disease, I was 7 months pregnant with my son in 2009 and got a call on a Friday from my boss. She let me know I was to turn in my computer, I was being let go. Wow! What a shock! We had a home in TN that we still could not sell and now would have to cover two housing costs on my husband’s military income and a baby on the way! For me it turned out to be a blessing in disguise to have some time off. For Jessica and Cliff, they turned it into profits. I wish I had this information back then. In their first year of running their Amazon business they turned a 6 figure profit on less than 20 hours a week! They’ve even learned to hone their skills more to work less and increase their profits! If you’re interested in learning more, grab their FREE e-book Why Selling on Amazon FBA Works. You can also jump right in and look at their blog post showing you how to get started right away with selling on FBA. I regularly sell a few books and videos from around the house to make money and have even dabbled in some retail profits as well. Have you ever tried Amazon’s FBA program? How do you see this fitting into your lifestyle with special needs children? Drop me a comment below. Deena, this is really interesting! I’ve looked at a lot of work from home options and never knew about this idea. My top concern is always inventory. We have a small house so there’s not much extra storage. But, it sounds like FBA is perfect because I don’t need to have the inventory! How do you decide what products to focus on? Hi Kate! The great thing about the FBA program is that Amazon has a free app for your smart phone you can use. What you do is when you are out looking for products that are low price, you can use the app to scan the product and get the average price it is selling for and even calculate your fees to determine your profit. You can even incorporate this into your day to day which is why I think it is a great option for Special Needs Parents. Some people structure their FBA business by focusing on a certain type of product and only offer those. For example, you can focus only on Grocery items, or Kitchen appliances, or a HUGE market around Christmas time is Kids Toys! Other people just find products that make a profit and will focus on anything. The great thing is that The Selling Family has a complete 2 hour video course just on finding profitable products. 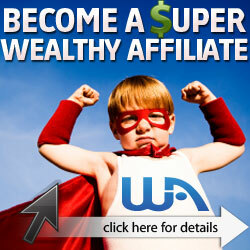 Here is the link for you http://specialneedsparentsincome.com/fbaprofitableproducts if you wanted to learn some more.